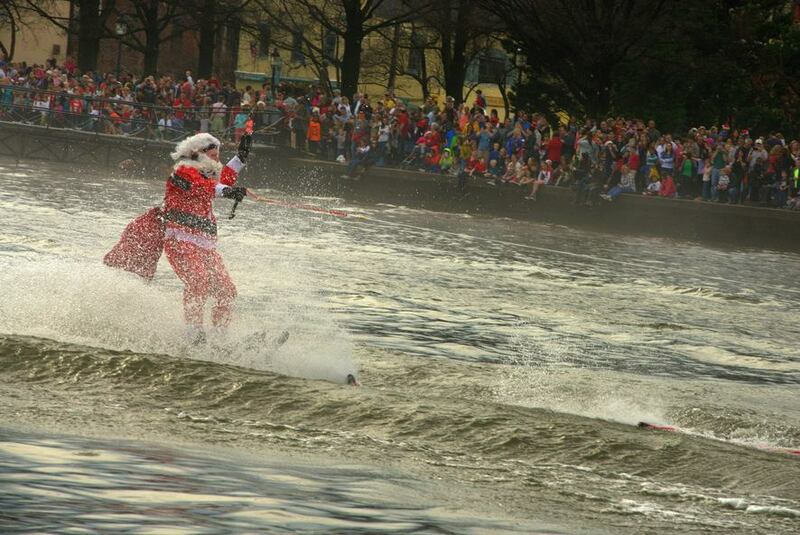 Waterskiing Santa is coming back to Alexandria. 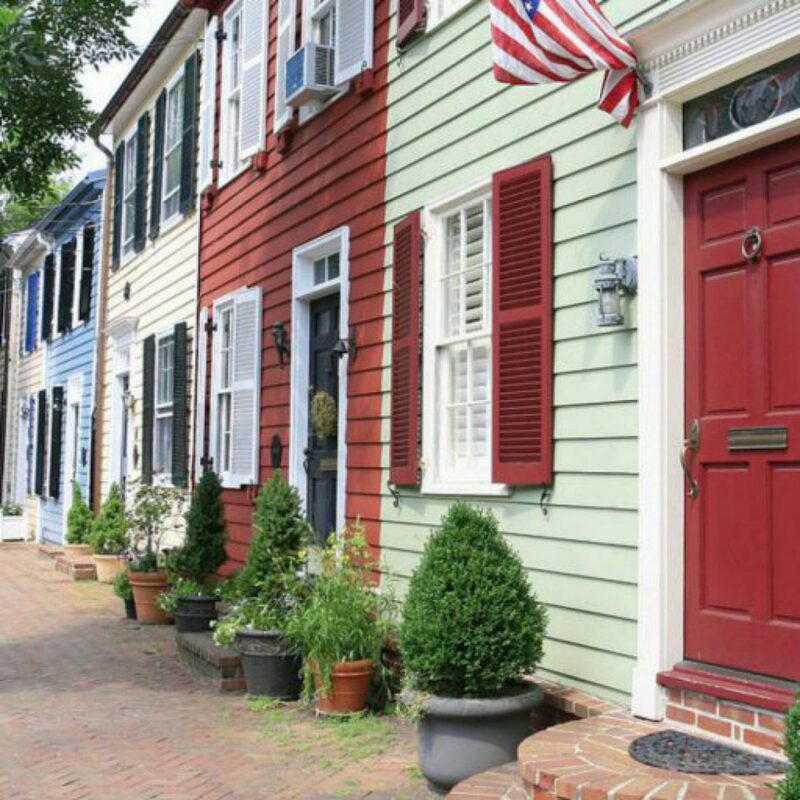 On December 24th at 1PM come to the Potomac River Waterfront between King and Oronoco Streets. 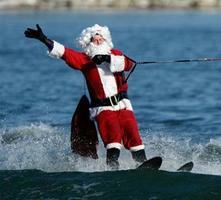 You will see wakeboarding reindeer, flying elves, the Grinch and friends, Frosty the Snowman, Jack Frost and, of course, waterskiing Santa. Wondering how this all started? In 1986, a group of friends drew straws to see who would go out and waterski in a Santa suit on Christmas Eve. The one who lost did so, and decided he would do it all again next year. While some might say, he lost the bet, he definitely won it for the sake of children and families alike. It continues today, after more than 30 years.